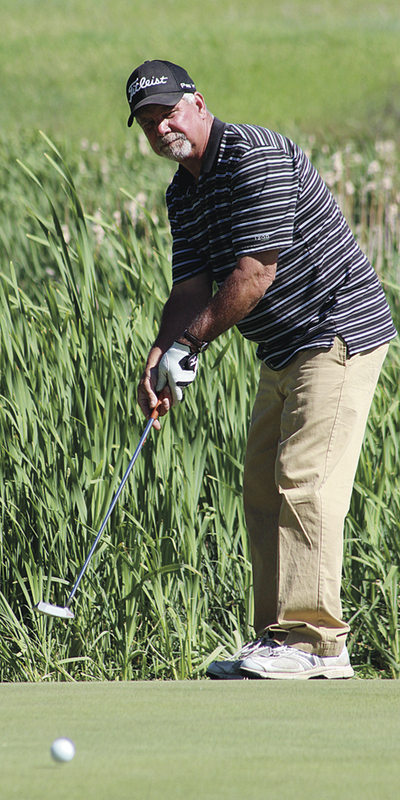 Meeker’s Pat Walsh watches as his ball heads toward the hole during the Two-Man, Best Ball Tournament at Meeker Golf Course during weekend play. Walsh and his partner, Willy Theos, captured second place in the second flight of the tournament, which ran Saturday and Sunday. The overall winners in the tournament were Doug Choate and Jared Brown.